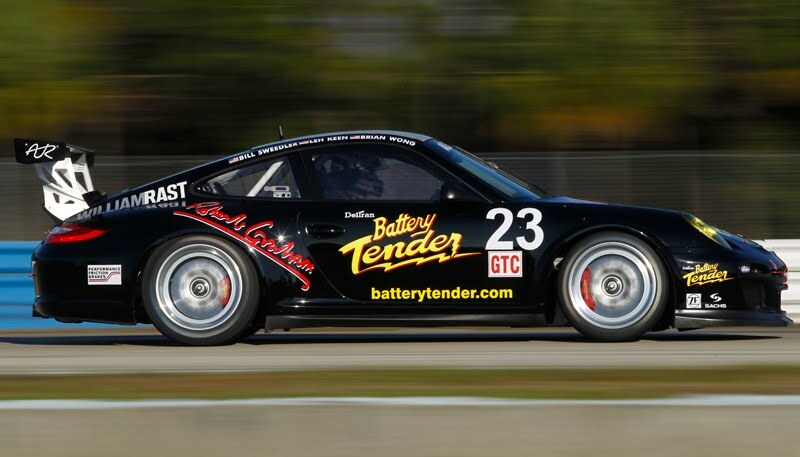 Alex Job Racing is ready to defend their 2010 GTC class win in the season opening of the ALMS at the 12hr race at the historic Sebring. Sebring is one of the most famous tracks in the country because of its heritage, its 17 turns, high speed straights, and also because it is one of the longest tracks at 3.7 miles. Last year I had the honor to drive on this track in our 911 for 5 hours! Granted I had an instructor that also drove the same rear engine car so he helped me understand the driving dynamics and weight distribution of such a performance car. Getting to heal toe shift into corners and hitting the accelerator through the turn for more grip was something everyone should experience. Alex Job Racing is going to be a huge competitor this year trying to keep their title. And driving the car to victory will be teammates Bill Sweedler, Brian Wong and Leh Keen. We wish the whole team the best of luck this year!